Ray White (Southern Corridor Realty Ltd REAA2008) have sourced the best auctioneers with proven track records to ensure we achieve optimum result at any auction run by our real estate company. We are thrilled to advise that John Bowring of Elite Auctioneers is now our preferred auctioneer. John brings a strong pedigree in real estate sales and auctioneering – he was a sales agent for over 10 years, and an auctioneer for the last 9 years. John started his working life as a professional golfer at age 18, then at age 20 he became sales agent with Ray White in Australia. John moved to New Zealand at age 30 – working initially for Bayleys, then as Head Auctioneer with Premium Real Estate. 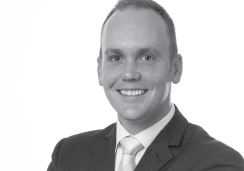 For the last seven years John has been at Colliers International as National Auctioneer Manager. In 2015 he set up Elite Auctioneers with Tim Obern and Hayden Broadbelt. Amongst John’s achievements, he was a finalist in the 2012 and 2014 REINZ auction championships, runner up in 2015, and finalist in Australasia Auctioneering Championships of 2015. We are also very pleased to be able access the services of the very capable Tim Obern of Elite Auctioneers. Based in South Auckland, Tim has provided training and called auctions all over the North Island of New Zealand. Tim regularly performs auctions across the North Island and is the auctioneer of choice for many of Ray Whites top performing agents.